I did not know what to make of this morning. 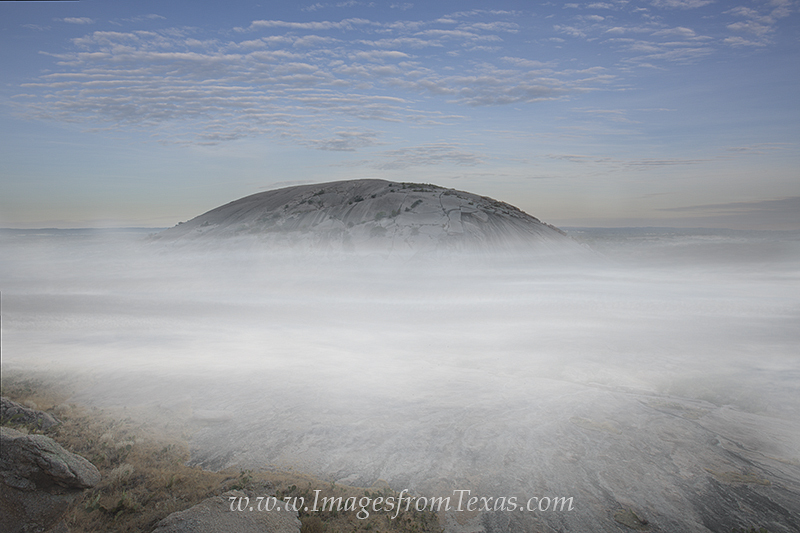 It was still dark when I arrived at Enchanted Rock State Park in the Texas Hill Country - clear and cool. But but the time I trekked around part of the granite uplift, visibility was poor and I thought the trip was going to be a bust. But after walking up a nearby hill, I found this amazing view as the sun began to light up the surrounding rugged Texas landscape. The low clouds were thick, but quickly burned off leaving a beautiful morning. Photo © copyright by Rob Greebon.